One year after the demise of Warhorse, Nick Simper and Pete Parks briefly played in Dynamite, along with 1966-67 era Pirates keyboard player John Carroll, singer James Royal (in whose backing band Nick had recorded for the BBC back in 1969), and drummer Mick Richardson, an old bandmate of Pete Parks' from Black August and Morgans Roots. The band released a solitary single, a remake of 'St.Louis', which appeared in a few European countries. It did well enough in Italy, but by then the group had ceased to exist, and an idea to have Nick Simper guesting with top Italian bands of the day failed to come to fruition. Both he and Pete Parks returned to songwriting and session work, as well as playing live rock'n roll around London with Flying Fox. Emerging in 1978-79 from bad contracts signed during his Dynamite days, Nick began to assemble his own recording band. 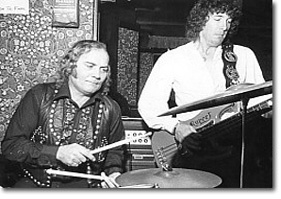 Flying Fox were a part-time rock'n roll outfit formed by ex-Screaming Lord Sutch drummer Carlo Little, who enjoyed a strong reputation on the West London pub and club circuit for a number of years. Nick Simper had played alongside Carlo in 1967, with the Savages, Billie Davies, and The Flowerpot Men. 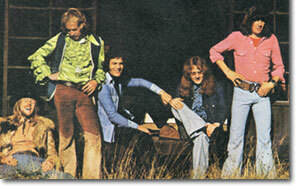 Flying Fox's line-up became fluid after Frankie Reid emigrated to Australia in 1980, with different vocalists filling in. In 1982-83 Procol Harum keyboard player Matthew Fisher (who had also been in at the start of Rainbow in 1975) both played on and engineered a cassette (featuring future Good Old Boy Alan Barratt on vocals) which the band sold to audiences after shows. In May 1982 Little, Simper and Parks provided backing for blues pianist Rosco Gordon's gig at the 100 Club in London, which was recorded and subsequently released as 'Rosco Rocks Again' in 1983. Flying Fox split in 1984 following 'internal differences' (www.carlolittle.com), and reconvened as the Good Old Boys. Punk rock was in full swing when Fandango appeared, but after a false start with UK label Charly a recording deal was secured with German based Shark Records. Aside from regular side-kick Pete Parks, Nick brought in drummer Ron Penny, who had played alongside him on Barney James' demos, and singer James Proops. The album 'Slipstreaming' was released in the UK and Germany in 1979, creating a flicker of interest despite the fact that the band lacked the finance to promote it with live gigs. Nick and Pete still played regular dates with Flying Fox, but Fandango remained a purely recording act. In August 1980 a follow up album was hurriedly recorded in scenes of some chaos, with original Warhorse drummer Mac Poole deputising for Penny. 'Future Times' was released just as Shark Records went bust. 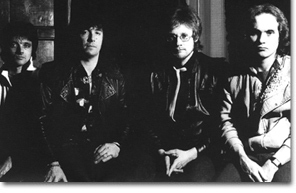 The Fandango musicians returned to session work, but in 1983 reunited briefly for the single 'Just Another Day' (written by Russ Ballard) on the indie Paro label. The Fandango: Slipstreaming / Future Times double CD on Angel Air Records contains a few bonus tracks, including the 1983 'Just Another Day' single a & b side. The Dynamite 'St.Louis' single, Flying Fox cassette, and Rosco Gordon's 'Rosco Rocks Again' album (JSP Records, 1983) are unavailable on CD.